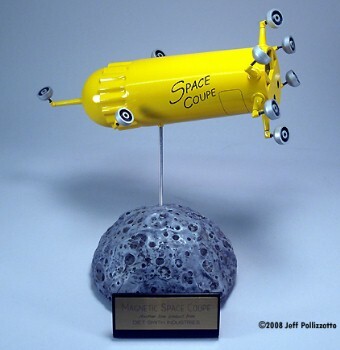 Space Base resin moonscapes are the perfect display stands for your sci-fi or factual spacecraft and figures. Prices include shipping and Paypal fees. 4 and 5 inch Semi-Spheres include a quarter-inch acrylic mounting rod and can be pre-drilled on request. Space Cookies come with an eighth-inch rod. 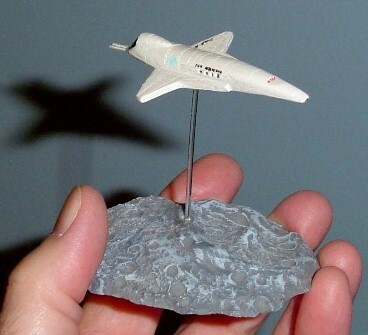 Space ship models and wood plaques in photos not included. All Space Bases are un-painted resin. Hellers 1/100 scale LEM on a 6 inch by 9 inch flat base. U.S.S. Reliant on a 4 inch "Semi-Sphere." on a 2 inch "Space Cookie." Prices are in U.S. dollars and include shipping and Paypal fees. Paypal preferred, will consider other payment options. Shipping outside the Continental U.S. may include additional charges. 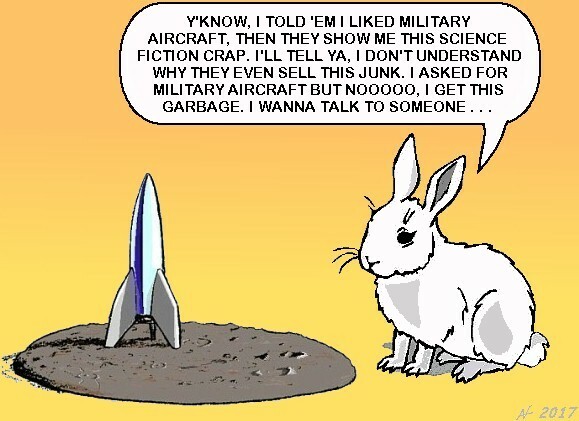 Space Bases have been tested on animals. It didn't go well. THE GOOD DOCTOR CLEANED OUT HIS BASEMENT AND FOUND A BUNCH OF GOODIES! CLICK THE LINK ABOVE TO SEE SOME GREAT DEALS ON SOME MAINSTREAM AND SOME HARD-TO-FIND MODEL KITS, SOME RECENT, SOME VINTAGE BUT ALL PRICED TO GO!! !